Kazan national university, one of the oldest universities in Russia. University was founded in 1804, on November 5, when the tsar Alexander I agree and sign the approval form the national university of kazan, determine the name of the school and the rules and regulations, the national university of kazan was established after Moscow university and the university of st Petersburg in Russia's third university, is in the east of influential and cultural, educational and scientific research center of colleges and universities. Lenin, Tolstoy and other famous people attended kazan university when they were young. Kazan university built early set up mathematics, chemistry, medicine and other professional, geography, linguistics, and made remarkable achievements in these fields, soon become one of the Russian education scientific research center. After more than 200 years of development, kazan university has become a large university town. At present, the school has more than 20 departments and institutes, more than 40 majors and nearly 20,000 teachers and students. 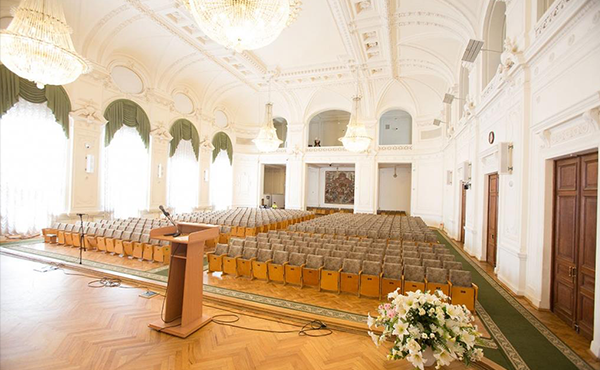 More than 50 teachers from kazan university have been selected as academicians of the Russian academy of sciences. In the first half of the 19th century, kazan university became the largest center of Oriental studies in Europe, and in 1837, Russia established the former Chinese language teaching and research office. Russian President Boris yeltsin signed an order in 1996 to list kazan university as a national cultural heritage site of the Russian federation. The Russian government included the development of kazan university in the development plan of the Russian federation in 2001. Located in kazan city center area, national university of kazan, kazan city is the capital of the Russian federation of the republic of tatarstan, covers an area of 412 square kilometers, to kazan city will be celebrating the 1000th anniversary of the founding in 2005, the city population of about 1.2 million, the existing 101 ethnic groups and kazan city with a long history, since the ancient times is the volga river valley roads and commodity distribution center. At present, kazan is the economic and cultural center of the republic of tatar, and its main industrial sectors are machinery manufacturing, chemical industry and petroleum. Kazan is Russia's famous historical and cultural city, the historical and cultural heritage value to that of the Moscow and st Petersburg as class "A" cultural city, many world famous master of science, master of literature have worked and lived here, such as Lenin, Tolstoy, herzen, shepelev gold and so on, the whole city is located in the volga river shore, beautiful scenery, pleasant climate, about 800 kilometers from Moscow. For many years, the national university of kazan in eastern Russia's higher education, the school has become the Russian education and scientific and cultural center, formed a certain academic group in school. In mathematics, chemistry, medicine, linguistics, geology, geography, botany, etc, enjoys a high reputation in Russia, famous scientists and inventors are founded not ou a few reed geometry of the levski; Klaus, who discovered the chemical element ruthenium; Butrerov, the founder of organic synthetic structure theory; Zavoisky, inventor of magnetic resonance imaging; Art schler, inventor of acoustic magnetic resonance, et al. Since school, the school has trained more than 70000 experts, including many famous scholar and social activist, now at the university of kazan and other more than 10 colleges and universities have formed the education base of the volga river valley. The national university of kazan in more than two hundred years has gradually formed a Russian style of buildings in the 19th century, by the library of science teaching and science center at the university of mathematical sciences, chemical research institute, mechanics, seven museum, botanical garden, the two meteorological observatory, the information technology center, the press, printing center and laboratory, culture, stadium, sports health care base, etc. Kazan national university has now established partnerships with more than 40 institutions around the world and joined the EREX system. Fulbright; United States information service USIA; DAAD; Copernicus inco Е kind guide р а з и second and other organizations, and international university union, Europe and Asia, a member of the federation of university and college national federation.